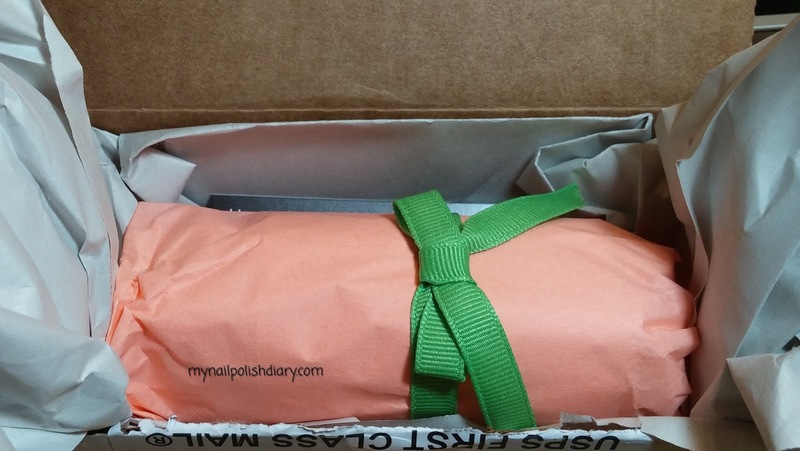 My Nail Polish Diary: Nail Mail! 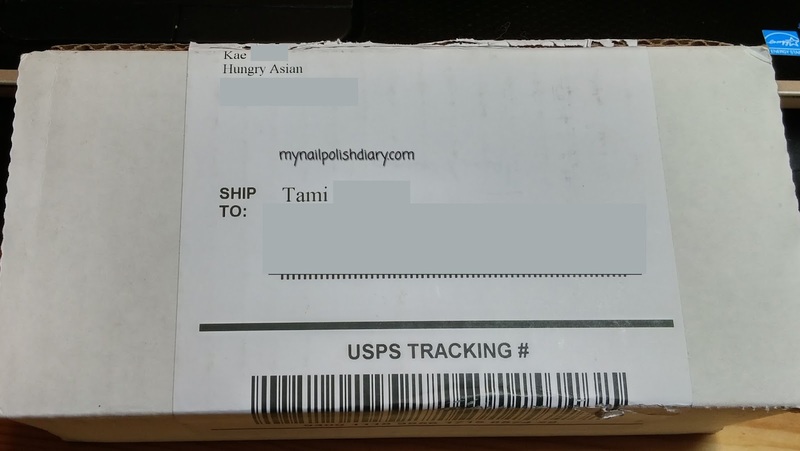 The unveling of indie polish designer The Hungry Asian Tamala. A black jelly I've had my eye one for a long time. Lemming squashed!!! Inside I found this really nice touch of a hand written note. 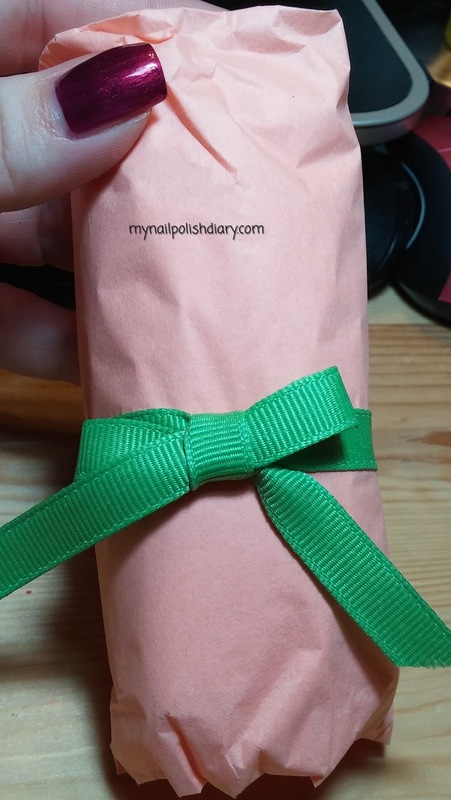 This is what's so awesome about indie polish designers. It leaves a great impression for sure. Once I unwrapped the packing paper this cute little nail sushi was inside tied with a pretty bow. And finally, after the bubble wrap is off, the beauty inside. 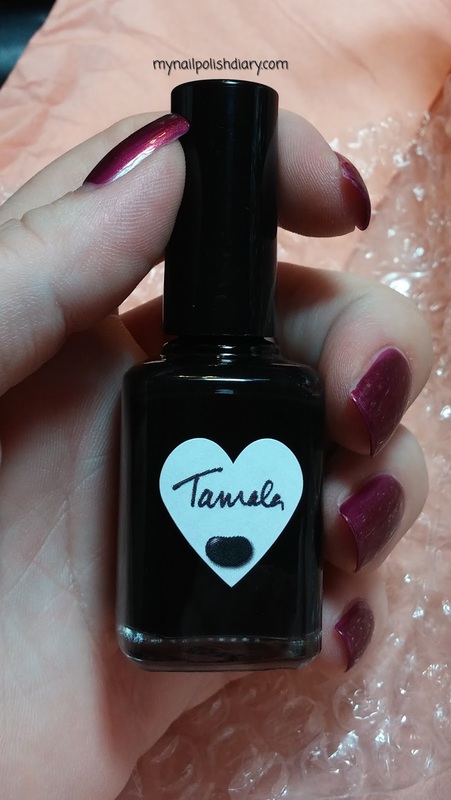 Tamala. A gorgeous black jelly I cannot wait to use. I already have the first mani for her planned. Nail mail is so fun. So was journaling about it. I'll be doing this next time I do a haul or get nail mail.